Michael Timberlake is a native of Huntsville, Alabama and is the son of local attorney, Kenan Timberlake. Michael earned hisundergraduate degree from Birmingham Southern in 1989 and his law degree from Cumberland School of Law in 1995. Following law school, Michael worked as a clerk for William Robertson, Chief Justice of the Alabama Court of Civil Appeals. After finishing his clerkship he has practiced in Huntsville and is currently a partner in the firm of Siniard, Timberlake & League, P.C. His practice is devoted to helping persons injured as a result of medical malpractice, nursing home abuse, motor vehicle wrecks and industrial accidents. Mr. Timberlake is a member of the Alabama State Bar, the Huntsville Bar Association, the Alabama Association for Justice and the America Association for Justice. 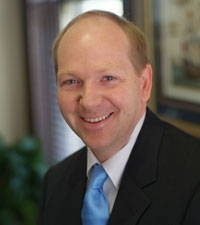 Mr. Timberlake is a graduate of the American Trial Lawyers Association Trial College and has frequently served as a speaker for continuing legal education seminars in Alabama. He is currently licensed to practice in Alabama and in the United States District Court for the Northern District of Alabama.